What does the expression 'to put something on the map' mean? 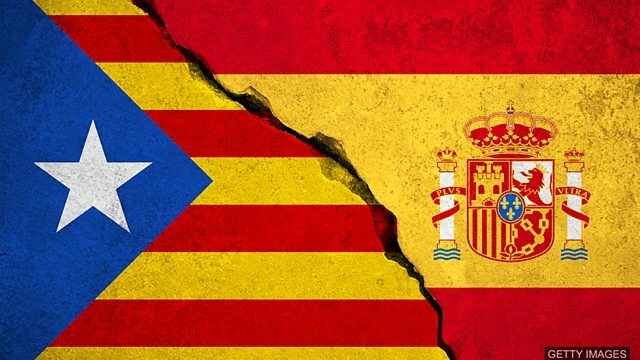 Catalans are going on strike today to protest the violence that marred the region's independence referendum on Sunday. Catalonia's regional government says over 90% of Sunday's voters opted for independence, but only 40% of Catalans voted. This is a really risky moment. I think you should ______ and think about the consequences. After years of complaining about her company, Marta decided to ______ and become a freelance. Sanjiv is very ambitious. He ______ his whole career at the age of 16.